Dr. Carl Newbern was born on December 27, 1929 in Collierville, Tennessee to William Tyus and Lucy (Clemmons) Newbern. He had an older sister named Elma and an older brother named Charles. He was educated in the public schools of Collierville and Memphis, TN. The family later moved to Detroit, Michigan where he graduated from Northern High School in 1947. He served in the United States Navy as a dental technician and was honorably discharged. He attended undergraduate studies at Wayne State University in Detroit, Michigan and completed a Doctoral of Dental Sciences degree from Howard University earning the distinction as one of four students to graduate on the Dean’s list in 1958. After taking his Dental certification board exam, he achieved the highest score recorded on the exam by a Howard Dental School alumni at that time. It was whilst at Howard University that he met the love of his life, Bertha Solomon Elmore, then a student at Central State University in Wilberforce, Ohio. They were married on March 31, 1956 and were soulmates for 62 years. He initially practiced dentistry in Massillon, Ohio before moving to Portland, Oregon to specialize in children’s dentistry. Two years later in 1962, he moved his family to Cincinnati, Ohio and established a practice that stood as a pillar of the Cincinnati community for over 30 years. Active in civic affairs, his social and service activities included membership in Omega Psi Phi Fraternity, an active supporter of Ken-Sil (Kennedy Heights – Silverton) community events and sports activities, Thursday Swingers Golf Club, and he was a distinguished member of the Guardsmen. He also earned a Gold medal for speed walking in the Senior Olympics. In 1968, Dr. and Mrs. Newbern won a seminal federal court case of Newbern v. Lake Lorelei, when the United States Supreme Court found in their favor when they were denied the opportunity to buy resort property at Lake Lorelei in Ohio because of their race in violation of federal law. Dr. Newbern had a broad interest in science and math and wrote many articles that were published in the Herald newspaper (Cincinnati, OH). From 2000 to 2005 he was a regular guest host of the Our Voices radio program with Doris Moore Bailey on WLKF 1430AM in Lakeland, FL where he discussed various topics on health and community affairs. Dr. Newbern retired from dentistry in Cincinnati in 1985 and moved to West Palm Beach, FL, where he established another private practice and was for several years also employed as a dentist for the state prison authority. While living in Florida he also found the time to establish a successful dry cleaning business called Doc’s Laundromat. 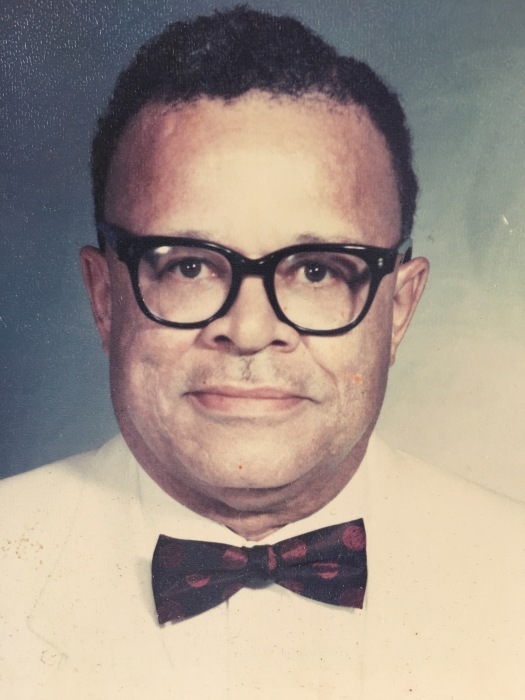 Dr. Newbern’s eldest son, Carlton (Martha), predeceased him in 2006. Dr. Newbern is survived by his wife Bertha Solomon Elmore Newbern, his daughter Carla Newbern Thomas, M.D. (Cleophus), son Stephen (Ntombi), grandchildren Cleophus “Tres” Thomas, PhD (Claudia), Phillips Thomas Hornbuckle (Chad, PhD), Caleb Thomas, Malachi Carl Newbern, Kaiyah Newbern, and Aylah Bertha Newbern. Two great-grandchildren Marcelo Thomas and Atticus Hornbuckle.